According to statistics, there were 8.8 million arrivals to Australia in 2017. If you want to be one of the visitors in 2019, and you’ve planned to travel to the Land Down Under on budget, you’ll be happy to know that the trip doesn’t have to cost you a fortune. From affordable food to very low-cost accommodation and transportation options, you’ll have the best time in Australia without breaking the bank. Dining at restaurants or buying fast food can cost you a lot anywhere, and Australia is no exception. That’s why it would be best if you considered making your own food. Shopping at local supermarkets, and having great deals on healthy fruits, veggies, meat and dairy, will save you tons of money and it will be good for your health. By picking out your own ingredients for every meal as well as the process of preparation will ensure you’re eating nutritious food and at a very affordable price, too. Make sure you stock up on groceries while travelling through a big city such as Brisbane, Sydney or Melbourne because smaller towns tend to raise the prices ridiculously high. Australia’s beaches and other outdoor places are well-equipped with barbeque facilities, so don’t miss a chance to have a nice picnic while enjoying the fresh air. This will also be one of the best ways to experience Aussie life and immerse yourself into Australian culture and living. If you don’t mind sleeping outdoors, camping is the best and most affordable accommodation option for you. Spending nights under the stars is only for those with an adventurous spirit, so if you don’t think you could handle insect and various nature noises, you should reconsider the idea. Also, you should know that you can’t just pitch a tent, or park your campervan anywhere, but you must look for free campsites. One of the highlights of backpacking through Australia is enjoying a BBQ under the starry skies of the Land Down Under, so don’t risk being charged for camping on forbidden land. In a lack of free campsites, you can always get an unpowered pitch at a campsite for $20 a night. For those of you looking for a bit more comfort when arriving in Sydney, apartments are a much better option than camps or hostels. If you’re travelling in groups, then looking for affordable furnished apartments in Sydney would be an amazing idea. If you rent an apartment with the rest of the group, you won’t make accommodation your biggest expense, and you’ll have plenty of money to spend on sightseeing attractions or nightlife. Furthermore, in well-furnished flats, you’ll have all the privacy you need, and you’ll be able to prepare your own meals, without spending an extra buck on take-outs or restaurant food. Inexpensive accommodation is not always easy to find, but if you look for hostels, you’ll be able to find plenty of cozy and cheap places to stay in the Land Down Under. Hostels are stylish, sociable places where you can rest and meet a bunch of people from all over the world as well. Some of them are even equipped with bars, kitchens, pools and a bunch of other facilities you’ll enjoy. Hostels in Sydney, Perth, or some other larger city will cost a lot more than staying at the hostel in some of the smaller towns, so keep that in mind as well if you want to save an extra buck. Transportation is another factor that can cost you a lot on your travelling adventure through Australia. In order to save up on your rides, think about touring from one major city to another, by bus. It will take longer than a flight, but if you’re on a vacation, you’ve got nothing but time to see all the nature’s wonders and enjoy the scenery while taking a bus ride. Some of the bus companies will actually give you a chance to hop on and off as many times as you like, for a $500 traveller pass. This will save you tons of money you’d otherwise spend on individual journeys. Renting a car is another transportation possibility. This way you can go off the beaten path, and visit any place that pops to your mind. Furthermore, you can take as many breaks as you’d like, whenever you want, too. If you come across a gorgeous viewpoint, you can stop, have lunch and admire the sights for as long as you’d like. 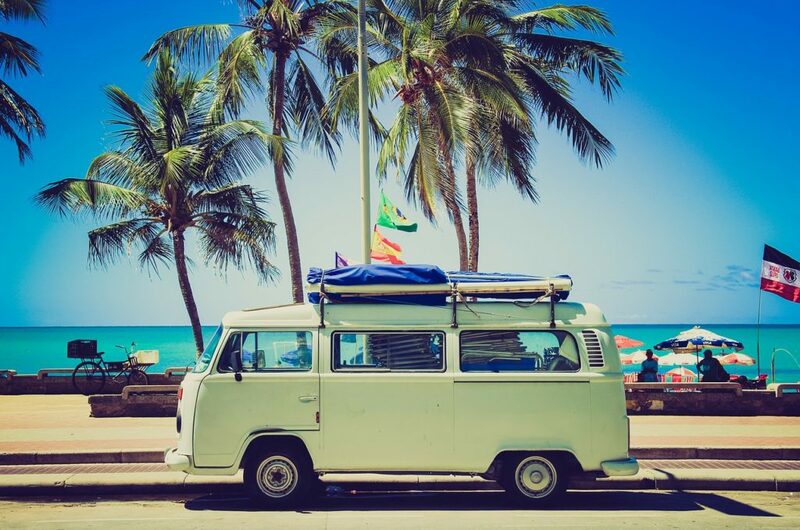 Renting a campervan is an even better option, as you’ll have a transportation vehicle and accommodation all in one. You won’t have to look for a hostel or a hotel to stay at, but only do the research on free campsites where you can spend the night. A campervan is a serious money-saver, as you’ll also be able to cook for yourself thanks to its handy kitchens and forget all about eating out at an insanely expensive price. In the times of Instagram and Snapchat, it would be almost unthinkable not to share all the memorable moments with your followers and friends, but internet expenses can be crazy high. Therefore, look for the nearest library in the next city you visit, because they offer free Wi-Fi. You can also look up some of the potential sights you should visit, and maybe even spend some time learning new information about Australia, while you’re resting from a strenuous ride. If you happen to crave a McDonald’s meal, you’ll be happy to know that you’ll be offered free Wi-Fi at every Mcdonald’s in Australia, after you buy some food. Travelling through Australia will be one of the unforgettable journeys in your life, but that doesn’t mean it has to make you go bankrupt. If you make sure you follow the aforementioned tips, you’ll have the time of your life, without making your bank account suffer.